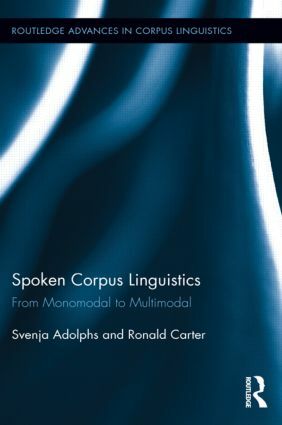 In this book, Adolphs and Carter explore key approaches to work in spoken corpus linguistics. The book discusses some of the pioneering challenges faced in designing, building and utilising insights from the analysis of spoken corpora, arguing that, even though writing is heavily privileged in corpus research, the spoken language can reveal patterns of language use that are both different and distinctive and that this has important implications for the way in which language is described, for the study of human communication and for the field of applied linguistics as a whole. Spoken Corpus Linguistics is divided into two main parts. The first part sets the scene by discussing traditional and new approaches to monomodal spoken corpus analysis, with a focus on discourse organisation and conversational interaction and with particular attention to forms of language such as discourse markers and multi-word units, areas of language not conventionally described but which are argued to be of importance to spoken language description and to spoken language learning and teaching research within the field of applied linguistics. The second part of the book moves into the multimodal domain and focuses on alignments between language and gesture in a spoken corpus, with particular reference to gestural movements of the head and the hand and to the different ways in which prosody might be used to enhance communication. A brief final chapter discusses new developments in the area of spoken corpus research, including the relationship between language and context, emerging research methods as well as discussing possible shifts in scope and emphasis in spoken corpus research in the future.